On Friday the 13th, all the models are highlighting a classic large and powerful Spring storm system to eject out of the Rockies and "bowl" its way slowly to the east towards the MW/GL's. Blocking is making tracking this system quite interesting. It seems like each model run there is a different solution. 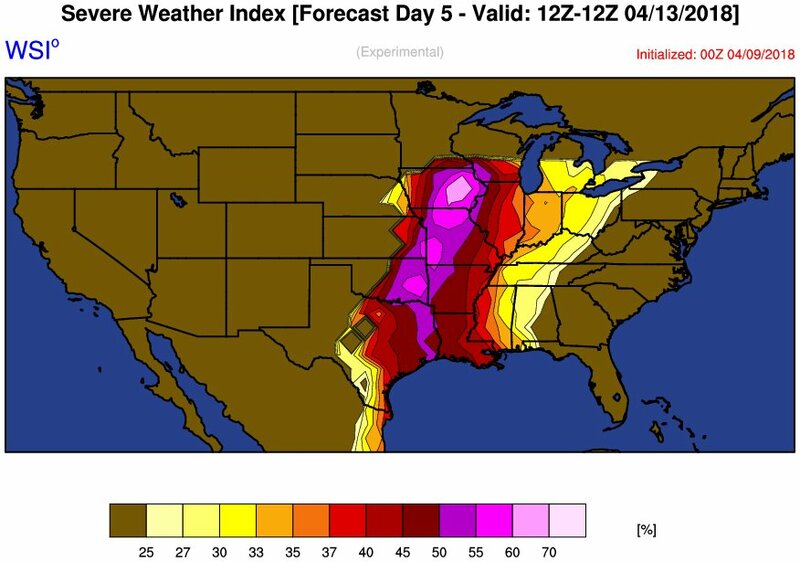 Let's discuss the storms winter and severe potential as this high impact storm rolls through the sub. Wow, this storm has the potential to be a monster! I could not be any happier to be heading to Panama City, Florida this weekend after seeing these model runs LOL. What a slap in the face it will be going from beautiful 70 degree weather to more Winter-like cold/wind and chances for snow here in Eastern Nebraska. Thankful I will get the chance to enjoy the warmup and be out of here before the weather changes again on Friday afternoon. I'd be right there with ya if work allowed me to! Believe me, I'd be in AZ already but I have too much on my plate. I'm hoping to get outta town this week for a bit if I can. Have fun down in FL! This storm is concerning. If we end up more on the warm side we’re going to have hydro issues. If we get the crazy snow totals the latest model runs are showing we might have snow OTG into May.....or at least frozen ground in May. The growing season will be cut way short. 00z Euro creeping your area with 12"+ just to your north...I think your in the game to score another big one. Would bet on a slightly further NW solution just based on climo but this spring is hard to predict. Ya, no kidding, but that Hudson Bay block is looking rather strong. It'll keep tracking this storm system fun and challenging. Looking at 2" of precip this week. I guess (pains me to say this) I would rather some of it be snow to reduced the flooding threat. The ground is rock hard. Gfs still liking idea for snow here in eastern neb saturday. Must watch! be prepared for .5-1" of slush!! Lol you think Omaha is gonna get snow at all? No, it's just going to be cloudy and windy! Thanks Tom, my wife and I are heading down there to celebrate our 10 year anniversary. Looking forward to a few days of sun, warmth, and quality time on the beautiful beaches of the panhandle of Florida. NWS Hastings sure not talking too much about this. Local forecast has a 30% of rain with maybe a slight chance of snow here. If the Low goes over our head, we will be dry slotted. Rarely do we ever get precipitation in this part of the state with that scenario, wraparound is usually little or nothing. Low needs to go across Kansas for me to get more excited for moisture chances. Geez, GEFS mean storm track looks eerily similar to last Nov's strong system. If it was a month earlier, or just any other year especially 2005, I'd have to worry about #realsnow. Like last week's Big Dog tho, I don't think I have much to worry about. The low is much farther south on the models today as it was before. The ICON and GFS have really come south. I would bet on the Northwest/North solution in coming days. Climatology would say farther north, though this year has been a little different. Give me 70 and tstorms or give me heavy snow. No dull 40 cloudy and windy. Models seem to be latching onto the idea of the secondary low forming south of the first low. Energy transfers, stalls and wraps in much colder air. Wild solutions on each run. Fun week of tracking ahead for sure. Dat 12z GEM is a beauty. 44” jack zone in the U.P. 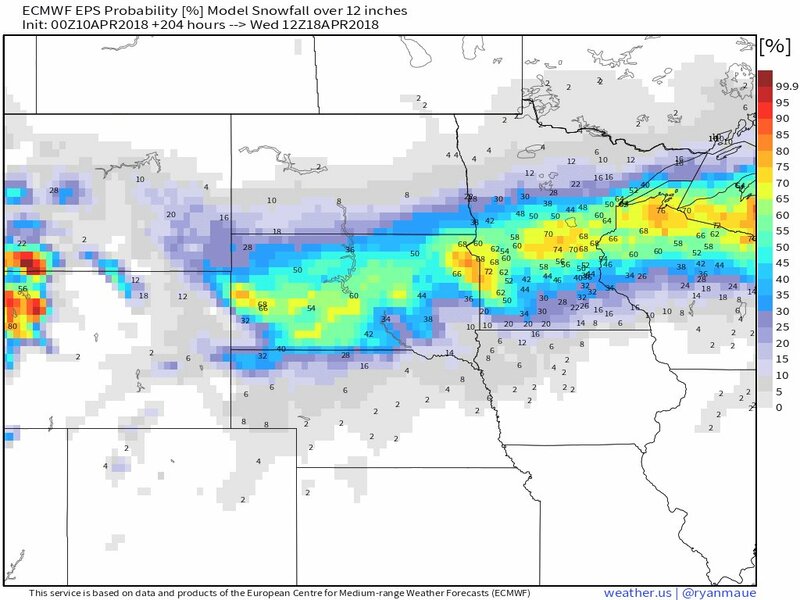 Here’s a very early prediction......massive t-storms in IA rob the cold sector precip and snow totals are much lower than currently shown. This is a rather strong low so I don’t think it robs moisture to the north, but instead, produces a trowal feature and tansports moisture into the cold sector. This has the looks of a very mature storm. Gonna be a wild Fri-Sun period. Fun times. I’m all for some nice trowal action. I see the 12z Euro continues it’s trek south with the heavy snow. Initially, but you never know as this storm could deliver wrap around snows. Tom, with a Low Pressure in that position, Central Nebraska typically does really well. This model doesn't show much of anything for our area. Will be interesting to watch during the week. I would just as soon have liquid at this point, but we have no control over that. Indeed, but not every SLP acts the same way...unfortunately, for your region, precip blossoms north and east of your area. This is not a good storm for precip needs. In fact, prob not over the next 10 days until later in the month towards the last week of April. Euro continues to look better than the GFS for severe weather potential in Iowa. Dews in the 60s for most of Iowa. CAPE over 2k in pockets. Forecast radar keeps most of the warm sector dry though except near the warm front, until late afternoon and evening when a solid line of storms forms and moves across the state. Also has highs into the 80s here in Omaha and into western Iowa on Friday! This isn’t a bowling bowl. It’s a midwest version of an EC bomb. Yeah, 80s Friday to 30s and light snow Saturday... fun stuff. The euro actually shows a Friday 12z temperature in the low 70s in se NE. Somebody needs to tell mother nature that winter was supposed to happen a couple months ago. This is getting out of hand. O_o Interested to see what the heck happens with this mammoth system. Whether it’s 5” or 31”, it’s a lot for what will be mid-April. Such a wide swath of snow depicted. NWS Hastings now looking at the weekend storm a little closer. Says if it keeps coming south, this closed low will bring colder air and snow. However, no solution for track is favored yet, so we could be dry slotted with warmer air and very little to no precipitation. Im all down for 70s and t-storms!! I just had heavy snow yesterday. I love wild weather swings. ^ that’s pretty. 06z GFS not too far from what the Euro is showing. Blocking keeps wrecking havoc in the modeling and the shifts south keep on coming on. Looks like MSP is def in the game now to see a major snowstorm. Gosh, that would be incredible to see a Top 3 snowstorm in April...I think you have a shot to smash records with this one. 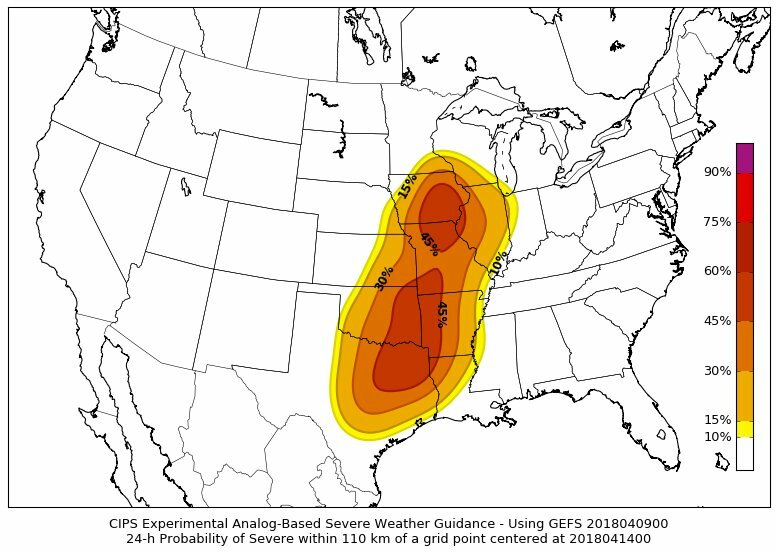 On the severe wx side, looks like its primarily dwindling around IA and focusing more into parts of the S MW and moreso across the southern Plains. Wow, very impressive signal off the 00z EPS for parts of SD/MN/N WI to see 12"+! that screams power outages to me. Yeah ratios should be less than 10:1. 10-20” of water-logged snowflakes is never good. Throw in gusts over 40mph and that’s trouble. ‘Crippling’ snow. ^^^ Always nice to see Ladysmith on a map..